With e-commerce becoming the latest shopping boon, even the small retailers are moving on to sell their products online. No matter whether they are selling through an e-commerce marketplace or their e-commerce website, certain costs keep them worried about making profits in their business. One such worrisome yet the unavoidable thing is shipping. For new retailers, managing tangible shipping without hurting the profit margins remains a matter of grave concern. 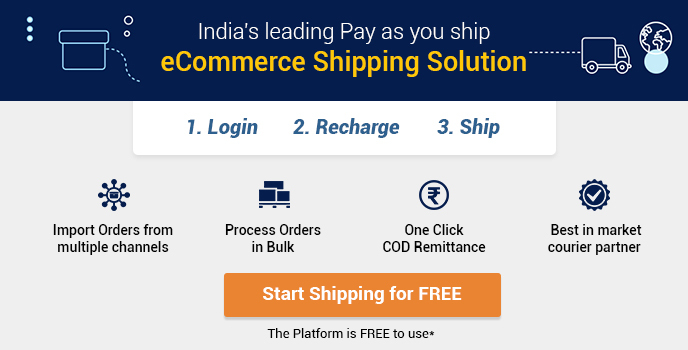 Even though they cannot deny the fact that an e-commerce business runs because of successful shipping and order fulfillment only, yet they cannot take the extra burden expensive shipping to run their online retail venture. To calculate shipping cost, you must be aware of the weight of each product in your catalog. However, you should not confuse between the shipping weight and actual weight of the product. The shipping weight will be the final weight of the product that comes out after adding all the protection layers and packaging material. This shipping weight will vary from product to product as some product may require additional protective layering, thus adding to your shipping weight. Analyzing the shipping weight will help in estimating the shipping cost. For a new e-commerce venture having a flat rate and regional shipping are the best ways to make profits. They are least expensive shipping methods and can be understood easily because of their less complicated nature. Certainly, you do not want the hassle to stand in the cue at the service counter of your local shipping office. Shipping software has become a staple for new e-commerce ventures as it has more benefits than just saving the trouble. 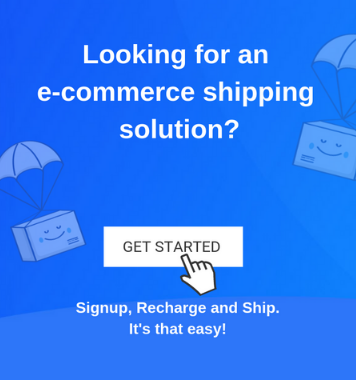 You can get delivery services online and can also track shipments easily for customer convenience by opting for eCommerce shipping services given by ShipRocket. With every order you deliver, you are not only sending the product to the customer you are giving them an insight of your brand. Everything in the packaging must represent your brand right from the packaging label to the box. Do not use old and damaged boxes as it may hamper your market position. A good packaging will increase your chances of receiving a second order from the same customer manifolds, so make sure you have good and branded packaging system. You may lose money on some orders; some orders will have a high shipping cost, some orders will be returned, etc. These are basic issues that you will face in e-commerce. Instead of making an additional cost, add this to your accumulated business cost and focus on making your order profitable. Consider the cost you are incurring for shipping all orders in a week instead of crying over the one order that leads to a loss in shipping cost. You can charge shipping cost from your customers if they are placing orders below a certain amount. Same way you can charge them for express delivery, which means, delivering the product before the standard delivery dates. This way, you can either recover the shipping cost, or you will compel the customer to shop so that they can avoid the shipping cost. Both ways, you will avoid taking the burden of shipping on your business. Adopting these simple techniques in your new e-commerce venture can help you save on shipping cost and make your business profitable.